About 36 million times a year, your heart beats exactly when it’s supposed to. So why sweat it if your ticker occasionally marches to a different drummer? Because palpitations can be unnerving. Fortunately, there are ways to stop them almost as soon as they start. Better yet, prevent them from happening in the first place by practicing stress-reducing techniques, screening your medications, and adding some heart-healthy foods and supplements to your menu. • As soon as you notice an irregular heartbeat, sit down and prop up your feet. Breathe slowly and deeply, letting your belly expand with each inhalation. If you focus on slow, steady breathing, your heartbeat will probably return to its normal rhythm right away. • If the fluttering continues, do the Valsalva maneuver: Pinch your nose, close your mouth, then try to exhale. Since you can’t—because your nose and mouth are closed—you’ll bear down as if you were forcing a bowel movement (or pushing out a baby during childbirth). The brief rise in blood pressure that results should help reset your heart. The Valsalva technique is named after seventeenth-century Italian anatomist Antonio Maria Valsalva. • Cough forcefully. Like the Valsalva maneuver, coughing increases pressure inside your chest. Sometimes that’s all you need to restore your heart to its regular rhythm. • Take a few gulps of cold water. 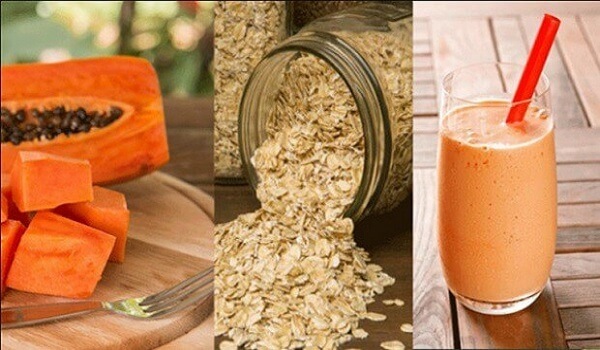 No one knows exactly why this helps, but some people get instant results. One theory is that the swallowed water causes your esophagus to press against your heart, and that nudge restores the rhythm. • Alternatively, splash ice-cold water on your face. The shock might be enough to do the trick. • Eat plenty of fish. 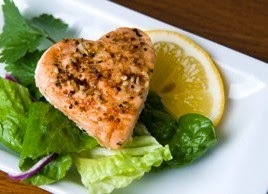 Salmon and mackerel in particular contain high levels of heart-healthy omega-3 fatty acids. • Avoid eating too much at one time. Forcing your body to digest a huge load of food diverts blood from your heart to your digestive tract. That can lead to palpitations. • Cut back on caffeine. In some people, drinking caffeinated coffee, tea, or soft drinks triggers palpitations. • If you are experiencing palpitations, there is a good chance that stress is to blame. In fact, palpitations can be the body’s way of alerting you that your stress level has exceeded the safe range. Meditating helps get your stress level back down. So set aside 30 minutes each day just to let your body relax and your mind unwind. • Soothe yourself with aromatherapy. Sprinkle a few drops of relaxing lavender oil onto a handkerchief, and inhale the pleasant aroma. Or try rubbing two drops of bitter orange oil on your chest. • Get at least seven hours of sleep each night. Being tired can set the stage for out-of-rhythm heartbeats. • Get at least 30 minutes of aerobic exercise three or four times a week. Walking, running, and tennis are all excellent choices. Just be sure you don’t become too focused on beating your previous time or outscoring an opponent—that will increase your stress. Exercise at a pace that allows you to comfortably carry on a conversation. • Warm up for 10 minutes before each workout and for 10 minutes afterward. • Take coenzyme Q10. This naturally occurring substance, sold over the counter in pill form, helps keep your heart rhythm regular, especially if you have heart disease. Take 150 milligrams once a day with food. • If you’re not eating much fish, take 2 to 3 grams daily of cold-pressed marine fish oil, which is high in beneficial omega-3 fatty acids. • The amino acid taurine helps quell irregular electrical impulses in the heart. Take 11⁄2 to 3 grams daily. Taurine is available by prescription. • Many prescription and over-the-counter drugs can cause palpitations, so check the package insert. It might say something like: “Do not use this product if you have heart disease or high blood pressure.” Or it might give a specific warning about the drug’s effect on heartbeat. Pay close attention to over-the-counter cold and allergy medications that contain decongestants. One ingredient that is frequently implicated is pseudoephedrine. • Some bronchodilators for asthma, such as terbutaline (Bricanyl), can increase the risk of palpitations. So can antihistamines like loratadine (Claritin). If you’ve been taking these, ask your doctor about switching to different medications. • Avoid any diet remedy or supplement containing the ingredient ma huang, or ephedra. This can sharply increase your risk of irregular heartbeat or palpitations—sometimes with dangerous consequences. • Always check with your doctor before adjusting medication or taking any new supplements.